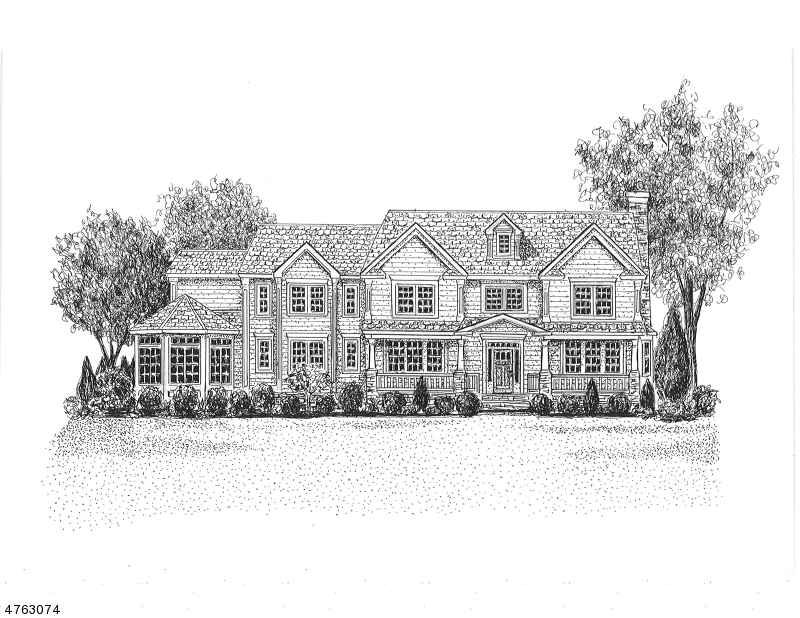 Magnificent NEW 7 bedroom center hall colonial situated on just over a half acre of park-like property. This spectacular home boasts "Hardie" plank&stone exterior. Features include open front porch, covered rear porch oversized gourmet kitchen w/wood cabinetry, quartzite counters tops, tile backsplash & stainless steel appliances, First floor bedroom with full bath & walk-in closet, master suite with 8 x 17 sitting room, two sided gas fireplace, trey ceiling and his & hers walk-in closets, master bath with soaking tub & and stall shower, coffered ceiling & wainscoting in dining room, family room with beamed ceiling and fireplace, hardwood flooring on the first & second floors, finished basement w/fireplace & bath, deluxe trim package, elevated patio, and more.